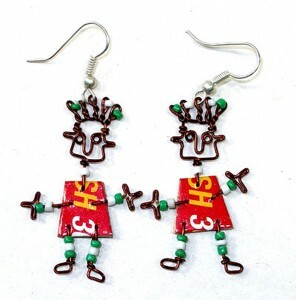 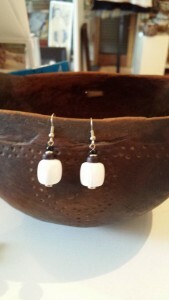 Silver plated wire earrings are handmade in Kenya by David Kariuki and purchased at Fair Trade. 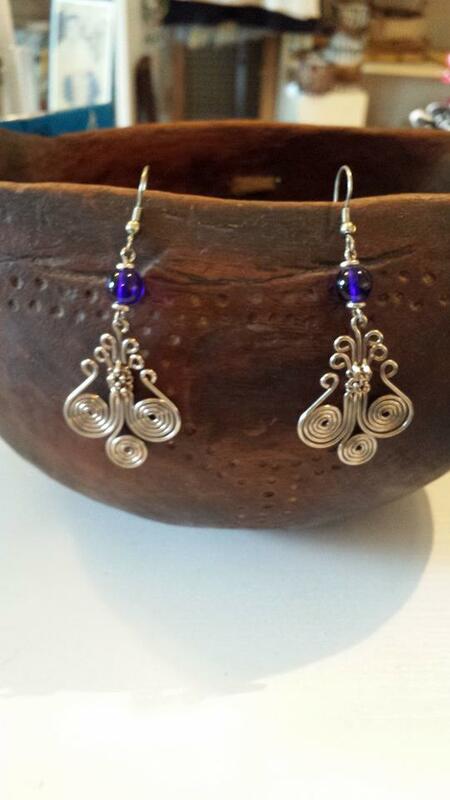 They have an intricate weave of three spiral wire disk and are adorned with a cobalt glass bead. 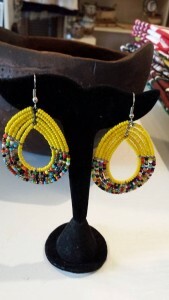 They measure 2 ¾“ in length which includes the drop and are 1” wide at the spiral base. 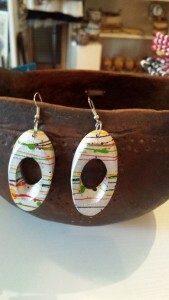 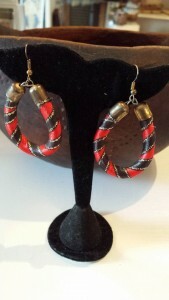 Tags: made in kenya earrings, silver spiral earrings.